We have some egg-cellent activities on offer this Easter – you can try your hand at egg decorating, get puzzled in Farmer Carter’s Courtyard, burn off some steam at Sprouts Play Barn, go wild at the Falconry Centre and gallop on the magnificent Victorian Carousel. The question is, what will you do first? Our Easter half term event will be located at Millets Maze Courtyard...all the puzzling fun without the maize! Spring into game mode and help Farmer Carter with our great quiz trails and activities within the fort maze, courtyards and woodlands! Then enjoy the pedal tractors, sand pits, trampolines, garden games plus a tractor trailer ride and much more! Please note that our main maize maze is yet to be planted so watch out for more info on this later in the year! Saturday 6th - Saturday 20th April. Please note that Farmer Carters will be closed on Tuesday 9th April due to heavy rain forecast. 10am - 4.30pm (last entry 3pm). Located at Millets Maze Courtyard (on the overflow car park). The Maize Mazes are not yet planted and so are not part of the Farmer Carter Easter activities. Our summer maze opens on 17th July. Farmer Carter’s Courtyard activity areas include three woodland areas, fort maze, courtyard of games and activities, and tractor trailer rides. Please note no live animals will be located within Farmer Carters Courtyard. Please allow 1.5 hours to complete all the activities. Wristbands will be given to customers allowing you to leave the event and return within the same day. In event of heavy rain, the attraction may be closed. Pre-booking is not essential and tickets can be purchased on the day from the ticket booth. Sorry no dogs are allowed in the maze courtyard (except guide dogs). Have fun at Frosts meeting the Easter Bunny, where he will give every child a small gift. Children can then get creative by decorating their very own chocolate Easter egg with a selection of yummy sweeties, perfect to take home for an Easter treat. Children will ﬁnish the activity with a bunny hunt around the Garden Centre and a glass of squash. Monday 8th - Thursday 18th April. Sessions from 9.45am - 3.45pm. Please note there is no 9.45am session on Sunday 14th April. The activity lasts approximately 25 minutes. Located in Frosts Garden Centre. For further information please call 01908 583 511. Millets Falconry Centre is home to over 100 birds of prey from tiny owls to huge eagles, as well as meerkats, ferrets and reptiles. 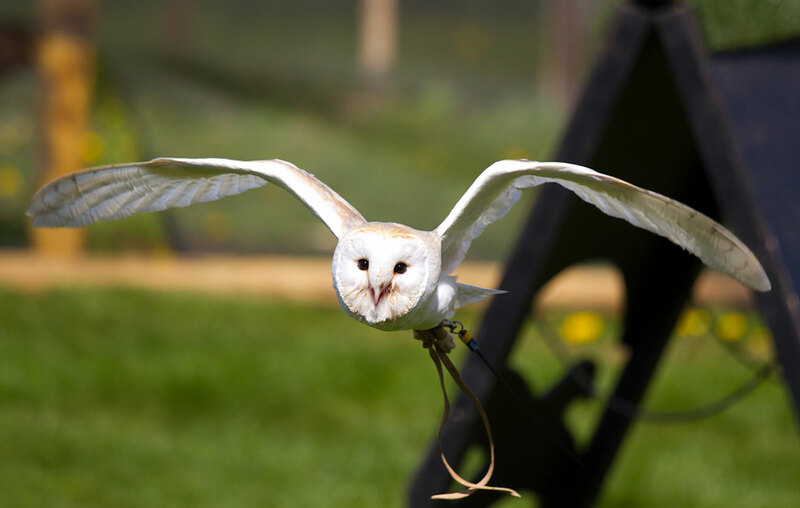 Located next to Sprouts Play Barn it’s the largest attraction of its kind in Oxfordshire where visitors are able to admire a diverse range of birds of prey, watch flying demonstrations , enjoy keeper talks and animal encounter sessions. Over the Easter weekend Friday 19th - Monday 22nd April we will be giving away free Easter eggs to every (child 3-15yrs) visiting the Falconry Centre. 10.30am - 4.30pm, Saturday 6th April – Monday 22nd April. Tickets are only available at the attraction entrance. 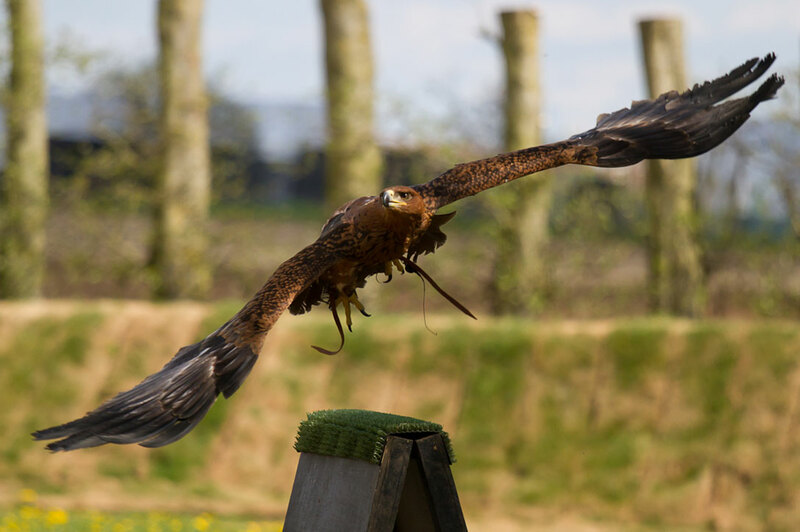 Millets Falconry Centre is located next to the Animal Walkway, adjacent to Sprouts Playbarn. Wristbands will be given to customers allowing you to leave the attraction and return within the same day. Hand built and operated by Ross Woodford, his magical carousel is open at Millets during holidays and most peak weekends. With beautiful painted horses and an old-time organ, fun for little and big kids alike! 11am - 4pm, Saturday 6th – Monday 22nd April. Located on the lower lawn by the Animal Walkway. Trampolines and Hook a Duck may also be open. The attraction may be closed in heavy rain. Come and explore Mr Sprouts amazing, award winning 4-tier playframe. There’s endless fun to be had at our indoor Play Barn – but shhh, don’t tell the kids, it’s educational too! During Easter half term Sprouts will be running three play sessions per day and pre-booking is essential. Saturday 6th April – Monday 22nd April. Session 3: 3pm - 5.30pm. Peak day pricing applies during the Easter holidays. Sprouts Play Barn is located next to the Falconry Centre – a separate car park is available (please follow directional signs when entering the Millets site). Tickets will be scanned on arrival so please ensure you have these available electronically or printed out.